Everyday, TopCashBack will post a daily clue. Once you figure out which retailer the clue pertains to, visit that retailer’s page on TopCashBack. Find the flying hummingbird and click on it. A hummingbird should always appear on the selected retailer. If you do not see one, you either have a browser issue or you have guessed the wrong retailer. You will get a game piece and drawing entry or just a drawing entry for each hummingbird you collect. Whether you visit the page on the day the clue gets released or not, you should get one bird as long as the game has not ended. This means those starting the game late can catch up. Those who catch too many hummingbirds in a short span will almost certainly get more drawing entries than game pieces. Spreading out the entries is the best way to get more game pieces. Keep in mind that every bird gives a drawing entry, but every bird does not give a game piece. There are birds that fly randomly throughout retailer pages. Some people will find birds and others can visit the same retailer pages and miss birds. It is all about luck and timing with the random birds. While I have visited random pages to see if I can find any unadvertised hummingbirds, I generally find this is a colossal waste of time with most of these games. There is no guarantee you will even get a game piece for all your hunting skills either. You might only get a drawing entry. As only one person wins the drawing, the odds are really low. You want the game pieces to increase your odds of winning a prize. You can get 5 extra drawing entries by sharing the game once on Facebook and once on Twitter. There is also an option to share each entry you win on Facebook or Twitter for 5 points. I already forgot to share my Day one clue, so I have 5 less entries than I should. There is a table under My Prizeboard to show what you need to win. It keeps track of everything for you. Instant wins get credited to your TopCashBack account with no holding period (when you shop through TopCashBack, there is a holding period on what you earn before you can cash it out). You can cash out instant wins the day you receive them if you want. The bottom of the Daily Clue Board will also track your Clue Progress. It is easy to forget to login and play everyday, so make sure you have entered all the known retailers to get all the basic hummingbirds. Again, you can hunt the extras if you do not mind searching. The Daily Clues are only listed in your TopCashBack page on the release date. Want to cheat? You can always look at my answers here. I will not write an article on every game, and you may see my article before I’ve remembered to login for the day and look at the clue. Some days, I forget altogether and try to catch up later. You can look at the TopCashBack Facebook and Twitter pages to see if any members shared their answers. A post for every daily clue since the game started is available on both platforms (posted on the day the clue went live, so you must scroll for them). 04/12/19- No new clue (as it reposted the one that went live first yesterday). *Your odds of winning depend on how many people enter, but a lot of people will win the $0.25 or $0.50 instant prizes. While these birds get awarded randomly, knowing where random birds pop up can help you catch one. Please note, you could try it over 100 times and never get a bird, so do not count on any random birds. I’ve had games where I did not look for any random birds. There are games where I looked for some and never found any. What do you think about this TopCashback Spring Treats Giveaway? Let me know below. If you want to play, make sure you sign up. You will almost certainly have fun and you could win some money, too. Even when there is no game, you can use TopCashBack as your Pay-To-Shop program. 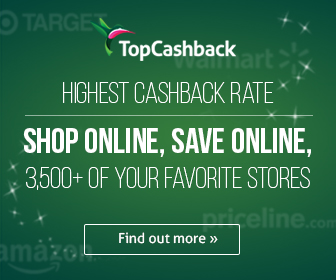 TopCashBack pays a percentage of each purchase when you click an affiliate link from its site before shopping elsewhere. I also recommend ebates, Mrrebates, ShopatHome, MyPoints, and Swagbucks. The one I use depends on the which is offering the best deal at the retailer I am purchasing from. See all TopCashBack articles. View my main page for the guide map to the site and deeper deal exploration. I think I can try and see how everything will work , thanks for info! It’s fun to play. Hopefully, you win something. I usually get at least $0.25.